WASHINGTON, DC, October 1, 2012 (ENS) – On October 8, as Americans celebrate Hispanic Heritage Month, President Barack Obama will travel to California to establish the César E. Chávez National Monument in honor of the late labor and human rights leader. This monument is the 398th site included in the U.S. National Park System, and the first to recognize the work of a contemporary Latino American. To be designated under the Antiquities Act, the monument will be established on the property known as Nuestra Señora Reina de la Paz (Our Lady Queen of Peace), or La Paz in the Tehachapi Mountains of Kern County. From this rural site, Chávez played a central role in achieving basic protections for hundreds of thousands of farm workers across the country. Chávez and Dolores Huerta co-founded the United Farm Workers of America, UFWA, in 1962, the first agricultural labor union in the nation. As president of the UFWA, Chavez helped secure the passage of the first law in the United States that specifically recognized farmworkers’ rights to organize unions and engage in collective bargaining. He helped to ensure that drinking water and restroom facilities were provided to workers in the fields, helped limit workers’ exposure to dangerous pesticides and helped to establish basic minimum wages and health care access for farm workers. “The La Paz property is recognized worldwide for its historic link to civil rights icon César Estrada Chávez and the farm worker movement,” the White House said in a statement. 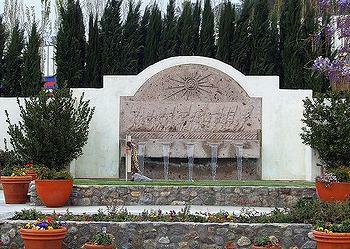 Chavez established the UFW headquarters at La Paz in 1972. It was both home and workplace for Chávez and his family until he died in 1993. The site now includes 26 historic buildings and structures with a visitor center, Chavez’s office and library, as well as the César Chávez Memorial Garden and burial site, which will become part of the monument. The National Chávez Center, in consultation with the United Farm Workers, the César Chávez Foundation and members of César Chávez’s family, offered to donate certain properties at La Paz to the federal government for the purpose of establishing the national monument. But for members of the UFW the national monument announcement was marred by California Governor Jerry Brown, who on Sunday vetoed The Humane Treatment for Farm Workers Act. The measure would have made it a misdemeanor, punishable by jail time and fines, to not provide appropriate water or shade to workers laboring under high heat conditions. Governor Brown also vetoed a bill that would have allowed workers to enforce the state’s heat regulations by suing employers who repeatedly violate the law. The United Farm Workers strongly supported both bills. California issued regulations in 2005 to keep farm workers from dying of extreme heat, but preventable farm worker deaths have continued. State regulators are investigating two possible heat-related farm worker deaths that occurred this summer. The national monument designation on October 8 will represent the culmination of a process that has been underway for years. 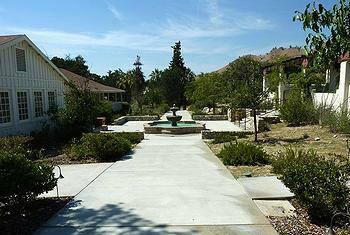 In 2007 the U.S. Congress, in a bipartisan vote, requested that the National Park Service develop a Special Resources Study on the feasibility of creating a Cesar Chavez park unit. In 2011 the NPS released a Special Resource Study that considered inclusion in the national park system of locations significant to Chávez’s life and the farmworker movement. 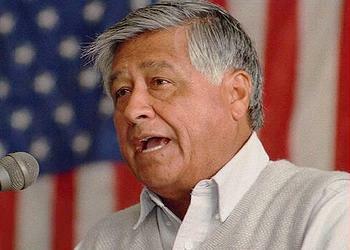 The study determined that five locations, including the site of the new national monument were of national significance, and found there is a need for a national park site dedicated to César Chávez. National Parks Conservation Association President Tom Kiernan commended President Obama for recognizing the significance of Chávez’s life and work. “President Obama’s America’s Great Outdoors initiative, the National Park Service’s Call to Action report and the National Parks Second Century Commission report all called for advancing and diversifying our country’s national parks, to protect and honor our heritage. The César E. Chávez National Monument is a tremendous step forward in realizing this shared goal,” Kiernan said. “Today’s Antiquities Act proclamation will also ensure that the economic benefits of national parks – job creation, heritage tourism, education, tax credits, and preservation initiatives – will support communities in California’s Central Valley and beyond,” Kiernan said. “In fact, according to the National Park Service, every dollar invested in national parks generates about $10 in return to local communities,” he said. The monument, which will be managed by the National Park Service in consultation with the National Chávez Center and the César Chávez Foundation, will be the fourth National Monument designated by President Obama using the Antiquities Act. He previously designated Fort Monroe National Monument in Virginia, a former Army post integral to the history of slavery, the Civil War, and the U.S. military; Fort Ord National Monument in California, a former military base that is a world-class destination for outdoor recreation; and Chimney Rock, which is located in the San Juan National Forest in southwestern Colorado, and offers a spectacular landscape rich in history and Native American culture.